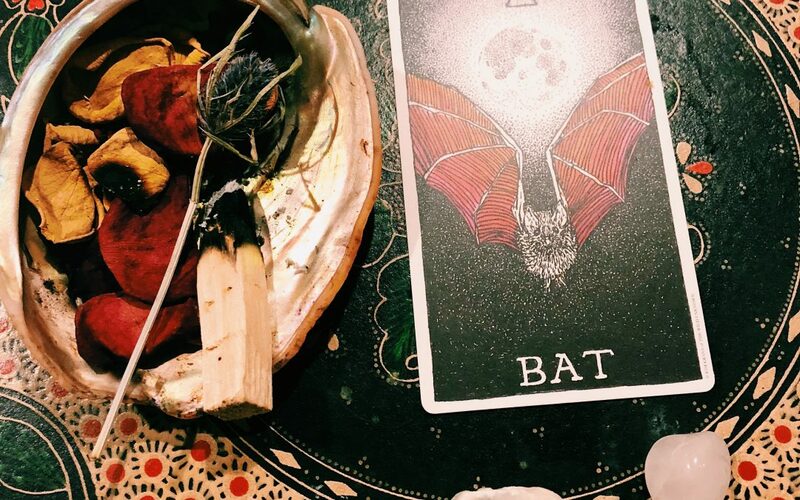 The bat symbolizes darkness, letting go, death and re-birth. Even my animal spirit guide cards have got my number. There is no avoiding my assignment, no escaping my mission. It always comes back to death. I always find myself in the dark. And I wouldn’t have it any other way. Because death and darkness are part of life. Lately I have been particularly aware that my most developed gifts are directly linked to my deepest wounds and the greatest lessons I’m here to learn. My life has tasked me with learning acceptance and the art of letting go. In my work I spend my days with powerful teachers, collecting profound moments that attune me to the wisdom present in accepting life as it is. I learn over and over again how to adjust and adapt. How to let go when it is time to let go. People often tell me it takes a special person to do hospice work — and that’s true — but the real truth is we are all drawn towards the things that will help us heal. My work offers me daily doses of presence and surrender. High doses. Intense, can’t-miss-the-meaning doses. Other people don’t need the same medicine as me. That’s all.